Do you know why every October 1 brings National Blood Donation Day as an observance, awareness campaign, and celebration of humanity, and how many people donate how much blood? 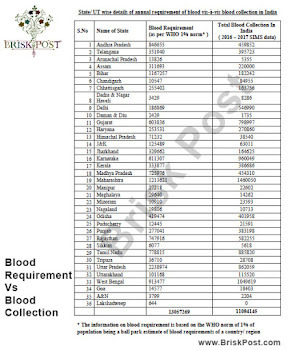 Below are all the answers related to Blood Donation Day in India with "top 20 info and statistics" we need to know. Let’s take a quick glance! 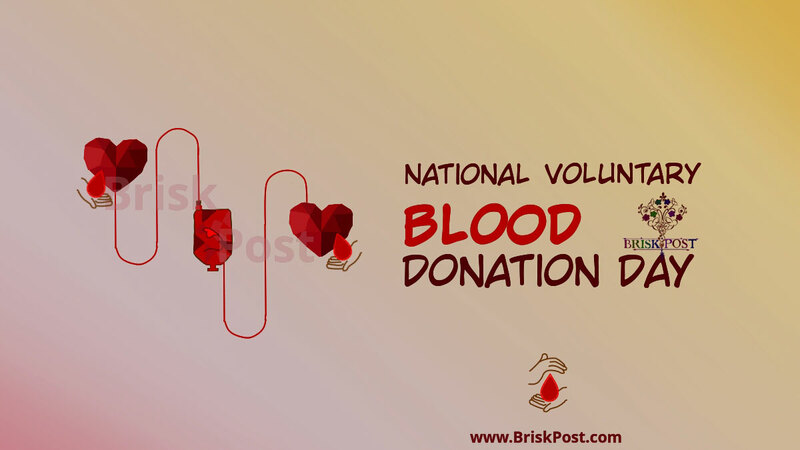 Many of us do not know when and why we started appreciating the importance and need of blood by celebrating the National Voluntary Blood Donation day? 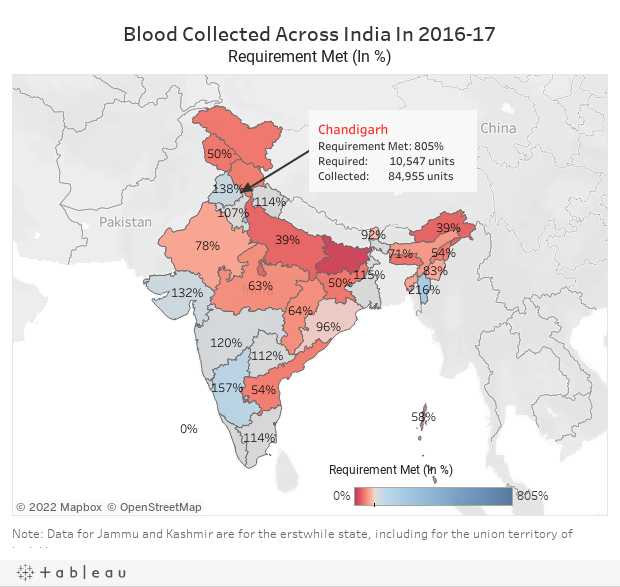 Many of us are not aware of how many hospitals, government, and organizations arrange blood donation camps throughout India to fulfill the demand and supply gap of blood? Or what are the various statistics related to blood donation. The fact that you also can become a hero! Let’s know all the knowledgeable and interesting info and statistics regarding the donation of blood in India and be a part of this amazing event! What is National Blood Donation Day? National Blood Donation Day is a humanitarian cause to fulfill the gap between blood demand and supply. A Blood Donation day event is run as a noble cause, campaign, awareness drive, camp, and social responsibility. Whether they are donors or organizers, people participate in the event with patriotic and humanitarian spirits. Where donors visit the blood banks with the zeal and excitement, receivers (who have ever received in past or receiving on the day) showers the blessings appreciating this different kind of love-bond between humans. It is organized by many hospitals, organizations, and companies as corporate social responsibility. Various officials and students provide their free services in such an event as managers, coordinators, or volunteers as their moral duty towards the nation and humans. After the donation of blood, a donor is offered several eatables on the spot, such as glucose drink, fruit juice, fruits (popularly banana, orange or Musmi), biscuits, etc. Some organizers provide the certificate of appreciation, gratitude badges, and transformation facilities also. Certification proves a great source of motivation and excitement for the students contributing as a donor or volunteer. When National Blood Donation Day is held? National Blood Donation Day is celebrated on every October 1 of the year. Organizations start the strategic work and preparations of the events about a week before and its active wave can be seen on October 1 from morning to evening. 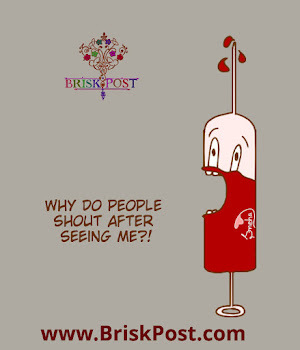 When India started celebrating the National Blood Donation Day? 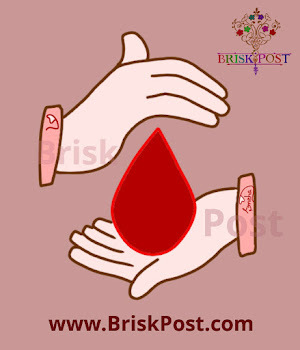 Why Blood Donation Day is observed? Who initiated this? How this started as a campaign? The initiative for a blood donation camp was taken by a social reformer Leela Moolgaonkar in Mumbai in 1954. 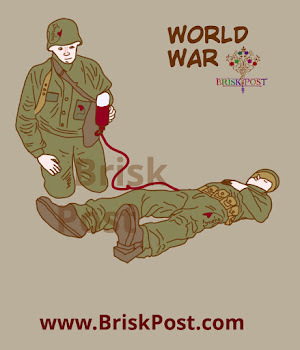 The first systematic voluntary Blood Donation drive was witnessed in 1942 in India when Second World War’s cruel face came in light as many wounded soldiers who were badly required the blood donors for saving their lives. Red Cross took the responsibility of managing the first blood bank which was established in the All India Institute of Hygiene and Public Health in West Bengal, Kolkata in March 1942. People who were government employees and from the Anglo-Indian community, they were the most active donors of that drive who donated their blood for that humanitarian cause, held for the wounded soldiers. This voluntary blood donation was so effective that till 1960, there were many blood banks in throughout the country in different cities. Seeing and understanding the need of the blood donors, Indian Society of Blood Transfusion and Immunohematology president J. G. Jolly announced October 1 as the official day for this cause in 1975. 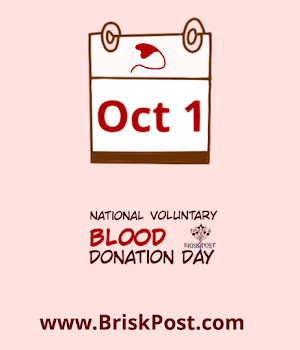 Since then October 1 is observed as the National Voluntary Blood Donation Day in all over India. 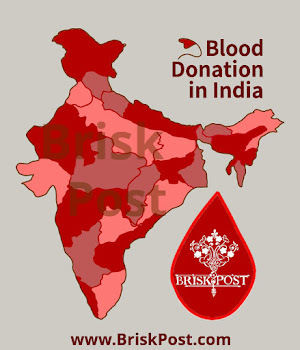 What is the prime location of Blood Donation events? There is no specific city or hospital for celebrating the Blood Donation Day. It is a national day and event which is observed at various places throughout the country. Many companies, schools, offices, hospitals, corporate officials, NGOs, non-profit organizations, and government support blood donation camps, event, and awareness drives to contribute for the cause. Such actions are being taken throughout the country in many cities. However, there are some locations where there is no blood bank. Let's know about them! Can one sell his blood? Is Blood Donation or Blood Selling for Money Illegal? Yes, it is illegal. Under the National Blood Transfusion Services Act 2007, Blood and monitory exchange might result in a prison of up to 3 months and fine for the convicted person. Is there any guideline or several eligibility parameters for donating blood? Only the one who passes the eligibility criteria as per the guidelines set by the Ministry of Health, Government of India, can donate blood. 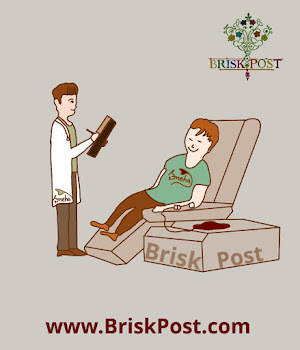 The blood donor must be between 18 to 65 years of age and must have at least 50 kg of weight. The blood donor must be healthy and physically fit. The donor must not have any transmittable diseases which can make the receiver suffer from the same disease. The pulse rate of a blood donor must be regular, and from 50 to 100. The person with an irregular pulse rate cannot donate the blood. For BP- Diastolic: 50 to 100 mm Hg, and Systolic: 100 to 180 mm Hg. The person who is donating blood must have a normal body temperature and donor’s oral temperature must not exceed from 37.5 degrees C.
The level of hemoglobin must be at least 12.5 g/dL. The gap of successive blood donation by a donor must be more than 3 months. There are some other common technical and medical guidelines are also there which a doctor follows such as the blood group of a donor must match the transferring criteria. Is there any guideline or several ineligibility parameters for donating blood? 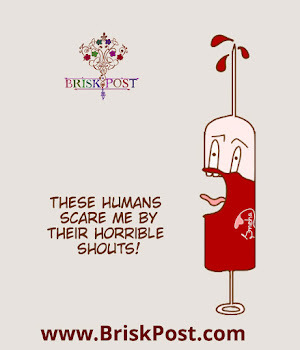 A person tested with HIV Positive cannot donate the blood. A person diagnosed with ailments such as blood cancer, pressure, diabetes, cardiac arrest, hypertension, epilepsy and kidney ailments cannot become a blood donor. A person treated for rabies or given Hepatitis B vaccine is considered ineligible for blood donation. People who have had disorders like fits, allergies, asthma, or tuberculosis in past cannot donate their blood to someone needy. If a person has marked a tattoo or undergone body piercing or ear piercing in past 6 months, it comes under ineligibility conditions. The individuals, who have undergone general surgery, major dental procedure, or immunization in the time period of the past 1 month, cannot donate. People who have consumed alcohol in past one day or 24 hours are considered as the ineligible. Under which act Blood Bank activities are regulated? Does a Blood Bank needs any license for performing its activities? Yes, it does. It also needs to renew the license timely for operations. What are the conditions for the renewal of the Blood Bank license? A Blood Bank must function in accordance to the terms of the license and must meet the specified standards regarding human resources or manpower, accommodation, process control, proper manufacturing practices, equipments, supplies, reagents, and all other matters which are supposed to be considered in Indian blood transfusion services. Which system reviews the blood transfusion services in India? 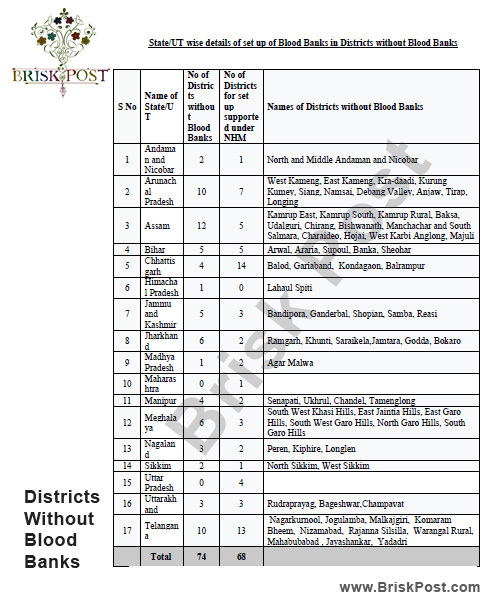 The above councils review the system and status of all the services related to blood transfusion in all over India. They also manage the blood bank monitoring visits which are conducted annually. Which policy is published for transfusion-related activities? What makes the donated blood and blood product transferring system sound? National Blood Policy, abbreviated as NBP, keeps the commitment to the safety of blood and blood components intact. Which organizations are the most active in supporting and organizing the Blood Donation Camps in India? There are several governmental and non-governmental organizations which work at regional and local levels. They conduct awareness campaigns and camps for blood donation and other health-related causes. Many organizations spread awareness and updates regarding blood donation events through their official websites and other web portals. These web spaces also provide the options for registration of a donor’s details and information about dates and locations of the blood donation camps. About: Associated with Rotary International and one of the largest active blood donation organizations, Rotary Blood Bank has several regional branches to operate the events and awareness campaigns. About: Indian Red Cross Society is an active organization that conducts blood donation drives and programs through Indian Red Cross Blood Bank. 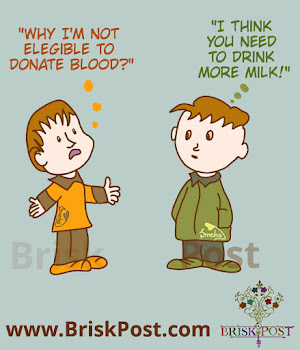 About: BloodConnect Foundation is the largest non-profit organization in the field of blood donation which is run by the youth. 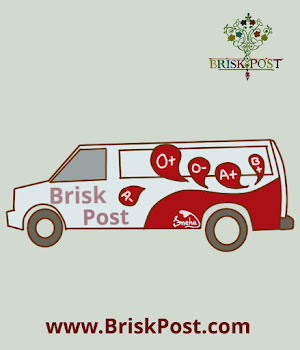 About BloodConnect: It is a volunteer team that is in many ace educational institutes like IIMs, IITs, PU, DU, etc. It works for conducting camps and awareness sessions on blood donation. 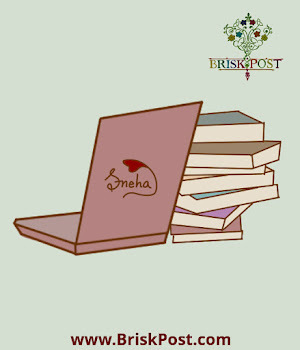 It also extends its help 24/7 by a helpline. About: Sankalp India Foundation is an organization which is specifically active in Karnataka. About: Save life India is a project initiated by the Art of Living Foundation under Volunteer for a Better India. Initially, it was ignited in Goa but later started conducting donation camps in various states of India. About: Lions Blood Bank is a Lions club’s project which is in operation in many Indian cities. About: Athar Blood Bank was commenced by Athar Minorities Social and Welfare Association and has been active across the state. There are many hospitals too who have their own blood banks. They conduct the donation camps within their facilities. 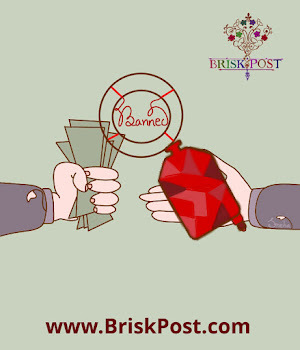 How the information about various donors is managed? 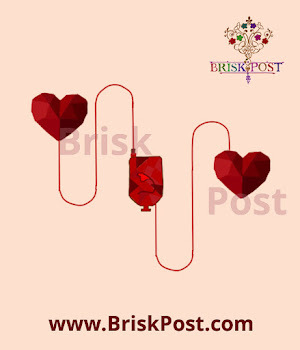 Some organizations like Indian Blood Donors, BloodConnect, Friends2Suppport, etc maintain the list of blood donors. This database proves useful to bridge the gaps between the blood donor and the hospital or organizations. 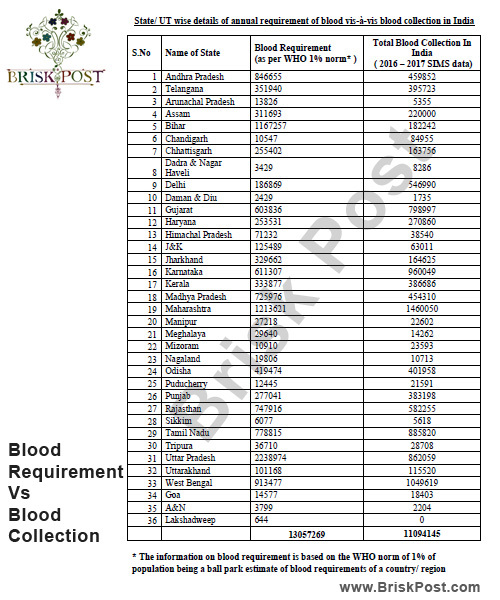 How much blood is donated by the donors in India? Indians collectively donate about 350 milliliters of blood every year. 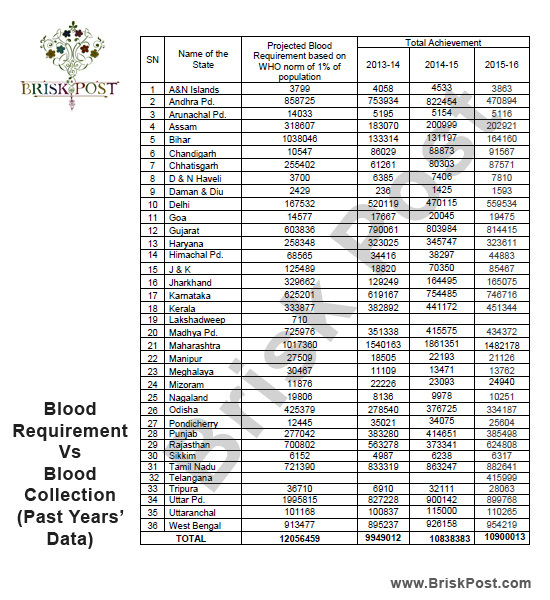 What are the statistics about the increase or decrease of blood donors in India? India has a huge population and millions of donors support by donating their blood, despite the healthcare facilities experience the gap between blood’s demand and supply. 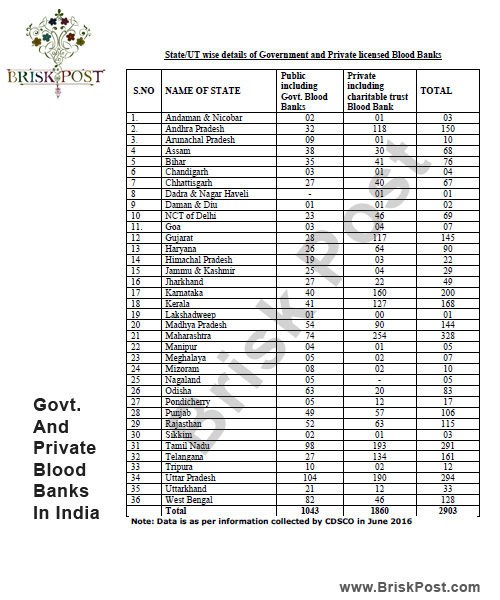 Because of the access disparity issue, many areas see the wastage of the donated stock of blood in India. Unfortunately, at the same time, some parts of the country face the blood shortage issues. In some cases, the issues of infection or transmission of diseases such as AIDS is also found which is a vital issue. 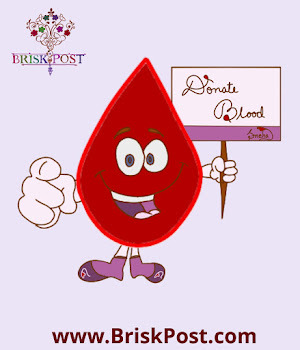 A case study and statistics conducted in 2011 revealed that only about 6% of women donate their blood. Surprisingly, most of them do not participate because of their physiological issues and low count of hemoglobin. Isn’t the reason more shocking?! Many people feel afraid of the pain, weakness, or procedure. And this issue occurs with both literate and illiterate people. On the basis of the study and research being done in 2009 and 2013, one more challenge came into light which was maintaining the quality and safety of the services regarding transfusion. About 70% of blood demand is fulfilled by the volunteer Donors and the rest of the demand is fulfilled by replacement donors. About 62 countries are supplied with the blood by the volunteer donors, not the replacement ones. 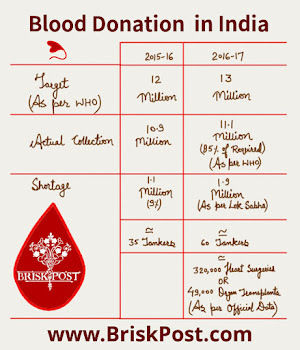 In India, the cases of forced donation are also being observed dues to the disproportionate ratio of demand and supply of the blood. 15. An Appeal: Let's Take a Step! You also can become a "Hero"! Blood donation is not just an act of giving the blood. 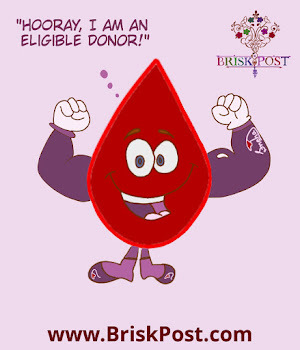 It is a heroic deed too, as a donor can save a life too. Not only this, but there are also some benefits of donating blood. Let us understand and spread the information that if a person is an eligible donor, the concerns of weakness and pain are just a state of mind. And such concerns are very small in front of a ‘life’ that can be saved by a little effort. Let’s say bye to the creepy thoughts of pain and weakness! Let’s be the hero and save a life! Let’s wish ‘Happy Blood Donation’ to each other!